I really enjoyed incorporating art concepts into my egg decorating ideas last year (graffiti eggs + painterly pastel Easter eggs). So, I thought I would do a follow up this year with something focused on a group of artists I really admire – abstract expressionists. 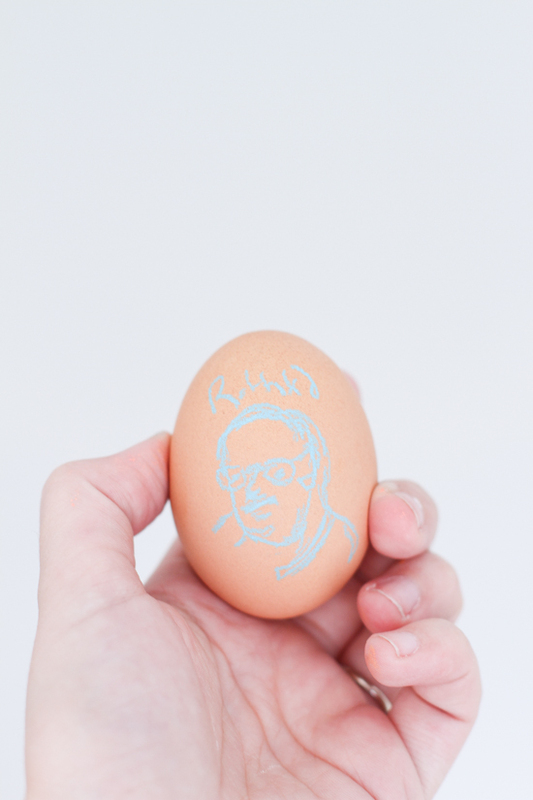 Admittedly, I’m a little rusty on my drawing skills, so I enlisted Jeff to create portraits of important American painters from the abstract expressionist movement on eggs for Easter. 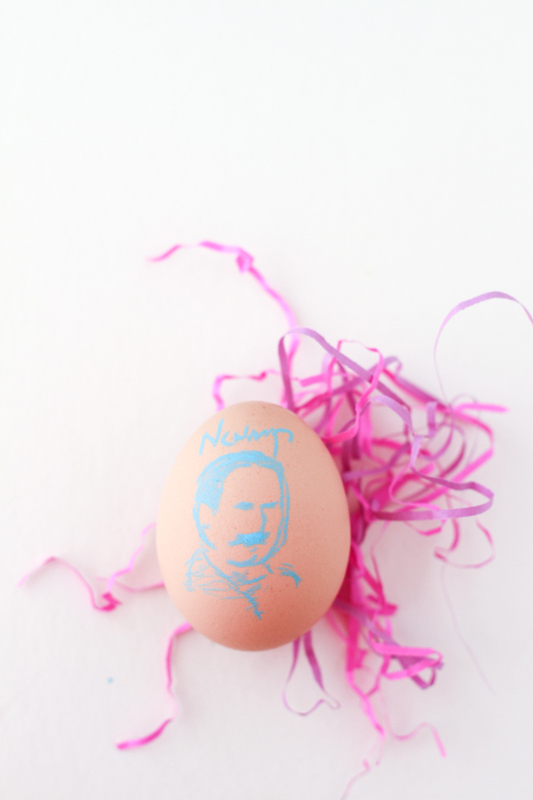 Is this an unconventional option for egg decorating? Probably. But that’s why I love it. Bonus! This would be a fun way to introduce kids to famous artists, popular designers, philosophers, etc…Maybe even US presidents, if you’re feeling crazy. 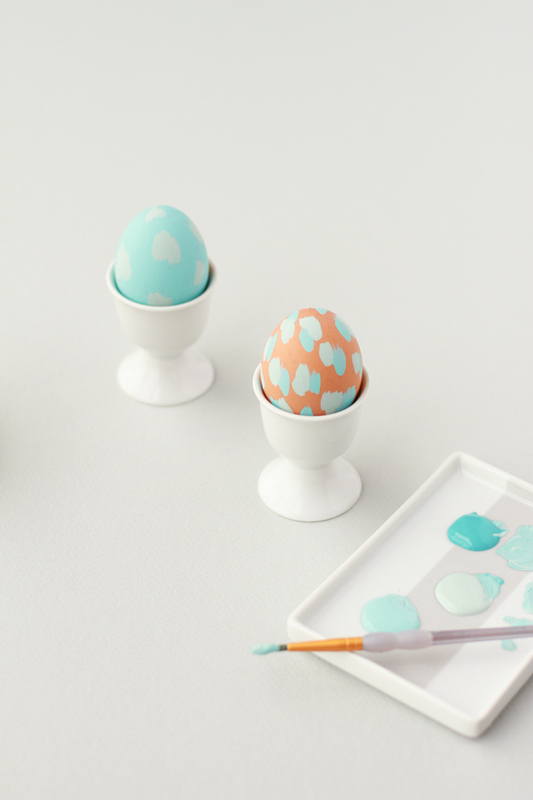 All you really have to do is grab a pastel crayon and an egg. The pastels look really great against the natural egg colors, but it was difficult to photograph because there’s a hint of neon in the blue. And it’s a tiny bit shiny. Anyway, long story short, you could always use a sharpie instead, if you’d prefer. Here’s who is featured on this set of eggs… Mark Rothko, Robert Motherwell, Jackson Pollock, Barnett Newman, Clyfford Still, and Franz Kline. If I’m being honest, it’s not exactly easy to draw a portrait on a tiny rounded surface. But after a few tries and a fine point pastel or marker, you’ll get the hang of it. They don’t have to be perfect. So just have fun with it. 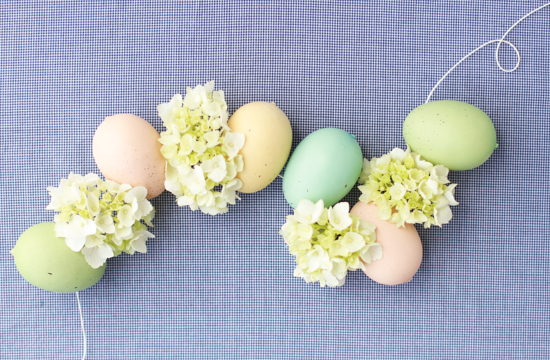 Will you be making these for Easter this year? And if so, what artists will you be most likely to draw? 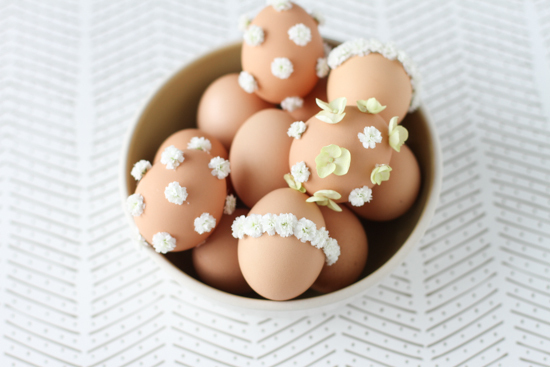 These are sooo cute for Easter! Absolutely love these! So delicate yet so fun! Thanks Rebekah and Jordan. It was fun collaborating with Jeff on this project. I may be biased, but I love his gesture drawings. Wow – this is amazing!! I’m impressed because I have trouble even drawing the classic chevron print on Easter eggs! These are SO awesome! Love that you worked with Jeff on these! His drawings are amazing! When you mentioned doing this with presidents I totally thought of my nephew who is obsessed with history, he’d love making those!!! These are clever and gorgeous! Mmm, for artists I would try to draw Van Goghâ€¦ totally predictable 😉 and Dali with a big mustache! 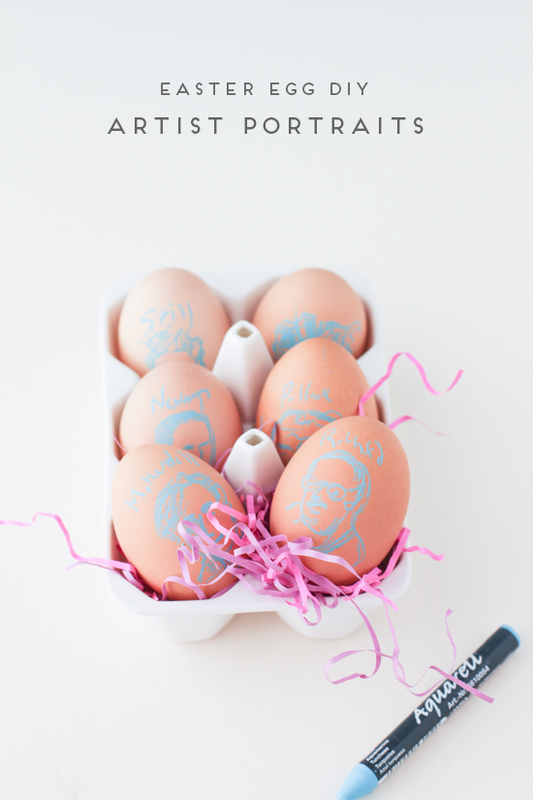 DIY Pastel Portrait Easter Eggs | Addicted 2 Fun: Interesting Pictures, Inspiration , Quotes & Content that Matters!